I ran across this quote tonight on a lovely blog by the name of The Chiffon Diary. Nicholl recently visited Columbia and talked about how good it was to go unplugged and reconnect with her husband and family. Leigh's Dad and I were lucky enough to spend a week unplugged on a cruise recently and this quote completely captures how that felt for me. 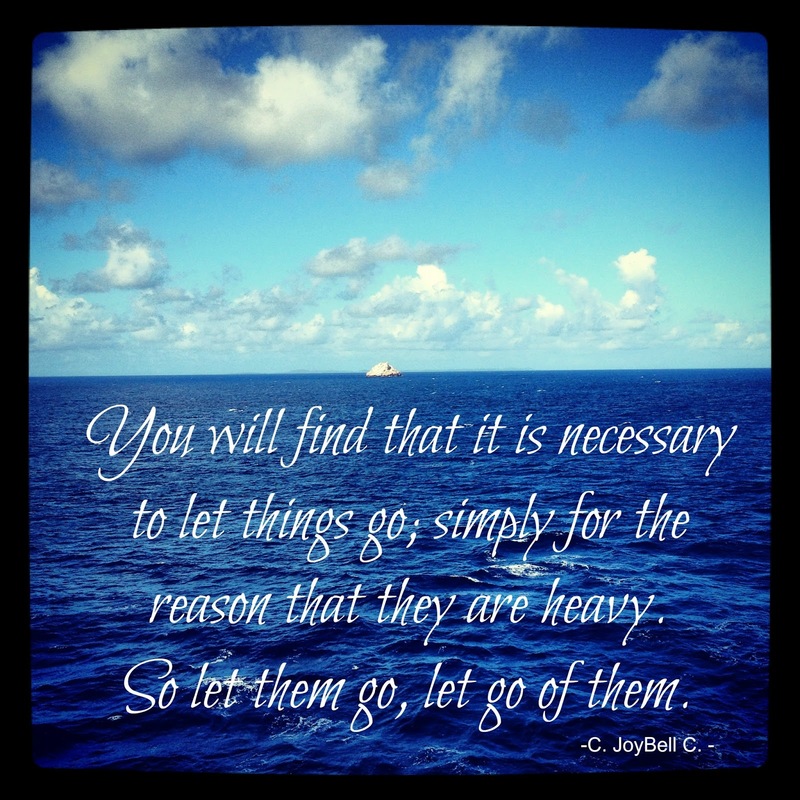 Sometimes, you just have to let things go, just for this reason and our time away allowed me to do that. Of course, we couldn't have done that without Leigh at home taking care of things for us. I don't know what we would do without our beautiful daughter! Love you Leigh!